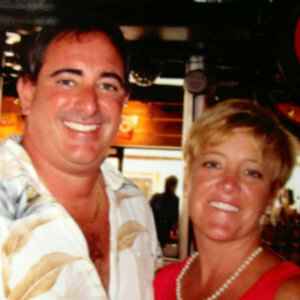 When it comes to experience Michael & Nicole Cascone have a combined 37 years of experience in the Real Estate Business. They have over 1400 Real Estate transactions successfully closed, handled over 300 short sale & foreclosure properties and have sold just about every type of Real Estate from Residential & New Construction to Commercial Properties from Restaurants, Gas Stations to Resorts. There target area is Southwest Florida and they specialize in Residential Homes, Resort Lifestyle Homes, Golf Course Community Homes, Secondary Homes and Investment Properties. They have been wonderful to work with. Helped me and my family find 3 homes that we have purchased in the Ft. Myers area within the last 4 months! Very familiar with many different developments and builders. Thank you Nicole and Mike! Working with Nicole and Mike to find a new home in the Fort Myers market has been a wonderful and comforting experience. My family is in the process of relocating from Milwaukee, WI, where we've lived our entire lives to Estero, FL. A huge move and change for our family! They compliment each other perfectly and are always available, receptive, and willing to do whatever it takes to work with us. Extremely knowledgeable, very well-networked in this community, and have a wealth of resources at their finger tips. They listen, partner with their clients, and by far have exceeded our expectations through our experience working with them. I would highly recommend working with this team. I can't thank them enough for all that they do.